When my Kitchen Aid hand mixer passed away, I was distraught. After all, I had it since before I was married, and it had done yeoman’s service, but still…I was sad. I decided to opt for a temporary fix, and bought a cheap Proctor-Silex hand mixer. As I said,a temporary fix. 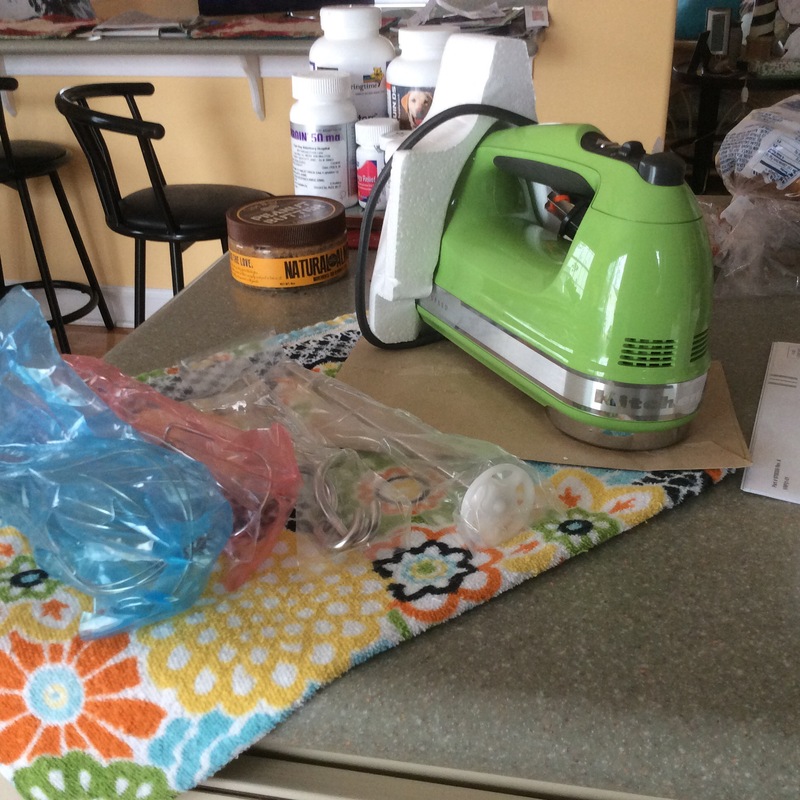 Qvc had it on line, complete with mixers, dough hooks,a blender rod and a whisk.The green is my homage to me, as it is my favorite color, and the 70’s, my favorite decade.. Lol. I actually have the instruction guide, which I am going to read from top through bottom, and am looking forward to using it a ton in the future.